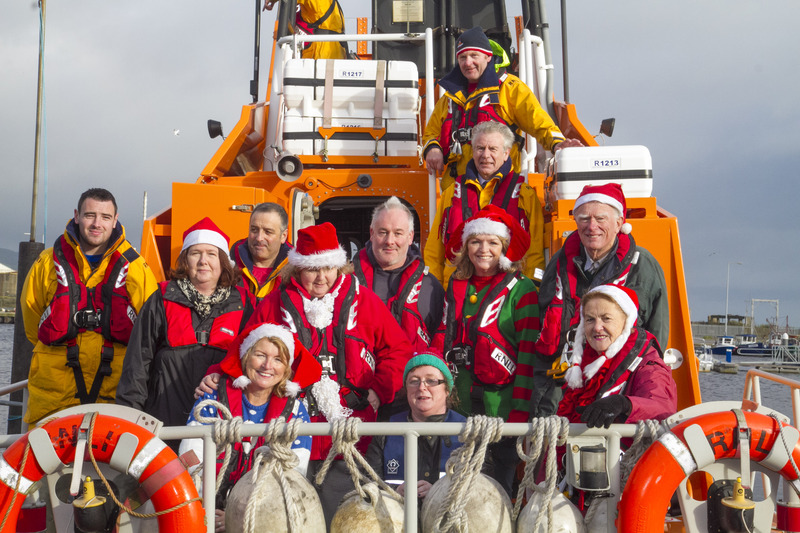 Arklow Lions Club members Imelda Riley, Joanne Byrne, Gretta O'Neill (front row), Carmel McBride, Bernie Tyrell, Ailish Bain and Bill Collier (back row) pictured with the crew of the Arklow RNLI at the launch of the Stephen's Day charity swim. Arklow Lions Club launched their annual St Stephen’s Day Swim appeal with the help of Arklow RNLI. And this year’s event will be extra special, with a giant magnum bottle of Prosecco up for grabs for one lucky swimmer. After taking a dip in the chilly South Beach sea, swimmers and their families and friends are asked to join the Lions Club in the Old Ship for complimentary soup and sandwiches, where a draw will take place for the huge bottle. The event takes place on the South Beach in Arklow on the morning of 26th December. The swim could not take place without the help of many for which Arklow Lions Club are very grateful. The swim has a dedicated number of swimmers that turn out every year, rain or shine. This year the Lions Club are urging new participants of all ages to come along and enjoy the experience. All swimmers receive sponsorship cards and the proceeds benefit local charities, such as the local Lifeboat. This day would not be made possible without the help and supervision of the RNLI, Arklow Scouts and many more. Sponsor cards are available from Lion President Joanne Byrne (0872533619), Gerard DeCourcy (0863360999), Imelda Riley (0872809171) and Bernie Tyrell (08790794533). 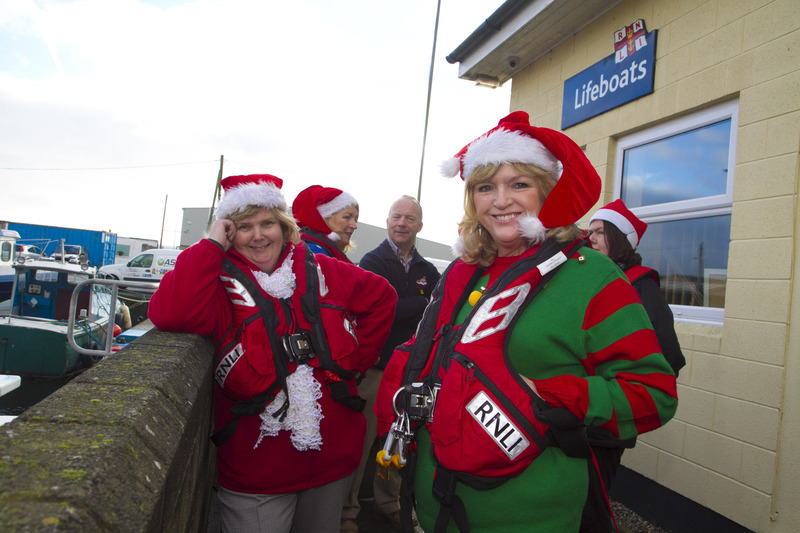 Lions Club members Bernie Tyrrell and Ailish Bain pictured at the launch of the Stephen’s Day charity swim at the Arklow RNLI boathouse.